If you can handle the surf you can handle the ocean. It’s a little simplistic but fundamentally true in a way that many people don’t seem to understand. Handling rough water almost always comes back to the skills you learn in the surf zone. The people who are comfortable in breaking waves near the beach are the ones who can paddle in breaking waves off shore. You can get by on the open coast without surf skills if you carefully pick your launch site and get lucky with the weather. But luck runs out. And in an emergency you can’t always choose where to land. If you really want to be an ocean kayaker you have to learn how to deal with the surf. This doesn’t mean you have to surf. Surfing a kayak is one skill among many in the surf zone – it’s probably the funnest – but it isn’t the important thing to learn for coastal paddling. What you need to learn is how to launch through the surf, how to land with the surf, and most importantly how to brace against a wave. But let’s step back for a second and talk about what the surf zone is. It’s where the energy of a wave gets released. That's what waves are: energy moving through the water. Most of the time that energy passes under a kayak with nothing but a little up and down motion. The wave continues on it's merry way taking the energy with it. It’s situations where that energy spills out of the wave - when the wave has broken in some way - and comes into contact with your kayak that are important. In the surf zone, the water runs out of room to travel forward (it happens anywhere the water becomes too shallow for the wave to travel freely) and the energy pushes the wave up and then it breaks, spilling the energy forward in whitewater. Learning how to deal with that energy is what it's all about. The surf zone is the best classroom because the release is largely consistent and predictable. When you go to the beach to learn, focus on the energy. It's also important to realize that the energy release can be fast or relatively slow. If the waves runs into a quick ending, meaning a steep beach, it will crash hard. If the slope is gentle, it will slowly spill over the top. Whether you're surfing or transiting the surf zone, you want to avoid being in the spot where the wave crashes. If you can't get outside the wave, then you want to get inside of it, moving forward or backward as the case demands to avoid being right under the wave as it explodes. In general, avoidance is your goal. The most successful paddlers in the surf are the ones who have learned to read the ocean (same is true for those who want to play and surf the waves – the ones who pick the best waves have the best rides). Spend time watching and evaluating. See if different parts of the beach act differently. Learn how to spot rip currents and why they can be your friend. Wait for a few sets to see a pattern. Note whether the energy gets released in a thunderous crash all at once, or if the waves spill more gently farther out.I can’t tell you how many times I’ve arrived at a beach with a group and seen people charge in and get demolished. By picking the right spot and waiting for the right time, I often land or launch without getting wet. Patience is your friend. To be honest, the only physical skills you need to get through the surf zone properly are a good forward stroke and strong reverse stroke. Couple with good timing and that’s all there is to it. But that’s in a perfect world. In the real world you have to learn how to handle a wave when your timing is off or the surf zone is too big to make it through between waves. You have to deal with that energy. That means bracing. I don’t want to focus on the minutia of technique but make sure you get the principle. You brace against the energy that the wave is releasing at you. Same as if someone were trying to push you over, you lean into the push. What the paddle does is secondary. How much do you lean? Do you edge the kayak or lean your whole body? Depends on how strong the push is – the more energy that hits you the more you need to lean into it. What happens if you lean too far? You fall over. So learning to brace means learning to balance. That’s the most valuable thing you’ll learn in the surf zone. If you can get comfortable in breaking waves, learn how to anticipate the energy coming at you, how to react even if it’s unexpected, and how to balance yourself against it you will be ready to paddle in rough water on the open ocean. When the sea gets confused from wind against swell or waves reflect off a cliff or a hidden reef causes a big set to break – that’s when you need to stay upright and keep paddling. That’s what the surf zone teaches you. It won’t come instantly. It won’t come if you just paddle in and out of the surf zone. It won’t come while you’re surfing the wave. It comes when the wave has broken, the energy released, and you’re left side surfing and riding it out. The more time spent doing that the better a paddler you’ll be. Some things are fine to learn on your own. It might take a little longer, you might get a few bumps, but you can figure it out. Surf zone isn’t one of those. Even if you’ve spent time in the surf on a board or swimming, playing in a kayak is vastly different. Sitting inside a rigid kayak and holding onto a solid chunk of fiberglass with ends designed to catch water raises the stakes and complexity dramatically. What you get out of a one-day surf class from a skilled instructor will save you years on the learning curve and greatly reduce your chance of serious injury – and make no mistake, all that energy we’re talking about can cause some big-time injuries. So start out with a class. There will be plenty of time to spend practicing in the surf again and again. That being said, here are some thoughts on what to do in that class and what to do after. Swim. Yeah, I know I said it’s different than being in a kayak, but if you’ve never really experienced surf then it’s best to start without the boat. You can learn about energy in a direct manner that takes a lot of the complication out of the picture. And later, when you haven’t mastered your balance and you flip over and your roll fails because you were so eager to get out paddling that you didn’t spend enough time practicing in the pool – that’s when you’ll appreciate knowing how to swim in the surf. In class you’ll probably work on launching and landing, because those are good and important skills. But make sure you spend time talking about the waves and the beach. Get some insight from someone with more experience. Spend time in the soup zone – the small, broken waves near shore which have already spent most of their energy. A good instructor will have a number of tools to help you work on your balance and bracing. Don’t think of this as time spent practicing a last-ditch effort to survive. Recognize it as the essence of coastal paddling. Like any class, what you really learn is determined by what you practice afterwards. So plan on spending lots of time in the surf. Start small. If a beach has a lot of surfers it’s probably bad for two reasons: too much energy for a learning environment and too many hazards in your way. Try to find a beach that looks boring. What most people don’t realize is that on the ocean it’s not the whole wave that breaks. You might have twenty foot swells but in deep water it’s only the top couple of feet that are spilling over because of the wind. In the surf zone you have the whole wave breaking because it’s run out of space. A two foot surf zone gives you plenty of energy to practice with if rough water paddling is your goal. As your skills build your desire to face bigger waves will grow with it. That’s fine, but give yourself an out. I’ve said before how harbor mouths can be a great place to work on skills in rough water without too much exposure. Well, the harbor jetty often protects a section of beach – or perhaps it the natural curve of the coast or outer reef that does it. Either way, find a beach that transitions from protected to exposed with waves that start small and get bigger. You can move along the beach as your success (or failure) dictates. In those bigger waves you will inevitably decide to surf some of them. Like I said, that’s the funnest part so go for it. You’ll learn a lot from riding a wave and even more when the ride ends. Most people go kayak surfing for the enjoyment, not the learning. Most people happen to learn more when they’re enjoying themselves than when they’re working hard. Go out and have fun and you’ll be surprised at how quickly your bracing improves. But even while having fun, keep your mind engaged. You need to stay active in the surf zone, both physically and mentally. If you’re sitting still you’re at the mercy of the water (and the sea isn't merciful). That’s all right if you’re aware of what’s coming and are ready for it, but it helps if you’re moving, avoiding the worst of the energy and controlling when and where you meet it. When launching and landing you want to be moving forward or backward, fast or slow, and always ready to change direction or accelerate quickly. Another thing that surf zone practice will help with is your roll. If it wasn’t solid before you started you’ll get motivated quickly. You might even see the advantage of practicing in a controlled environment like a pool. You’ll definitely see the benefit to staying calm and collected while the energy spills around your upside-down body and you roll up after it’s passed. Better yet, you’ll learn how to tap into the energy of the water to do the work of rolling for you. It’s very hard to get to be a good surfer without being a good roller. The surf zone can be intimidating. It will be humbling. But it’s where you pay your dues. Running a program I often saw folks who looked at the series of classes and checked off one after the other. That’s not how it works. You might be able to jump from SK1 to SK2, but you don’t jump from surf zone to the advanced courses that come after it. It takes time to learn all that the surf has to offer. Time spent deliberately practicing as well as playing around. If you want to paddle on the coast the surf zone is where it starts. It’s what you need to get through to reach the open water, it’s what you need to go through to get back home safely, and it’s where you turn all those flatwater skills into rough-water capabilities. It’s all that and a bag of chips. 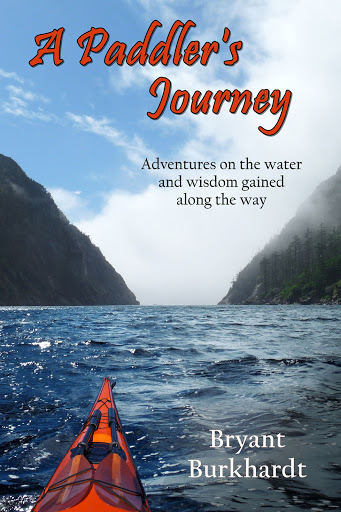 A Paddler's Journey Launches August 2nd!